I've mentioned a bunch of our 'repeat' activities when we go up to Michigan and a lot of them have to do with food. From Silver Beach Pizza to Uncommon Coffee Roasters in Saugatuck to Crane's Pie Pantry in Fennville to Sherman's Dairy Bar in South Haven to Grampa's Cider Mill in Coloma, we identified over the years a number of places and experiences that we like and continue to go back to each time we visit southwest Michigan. But, I think we've found a new place that we're going to be adding to the rotation: La Chula Mexican Market in Downtown Watervliet. 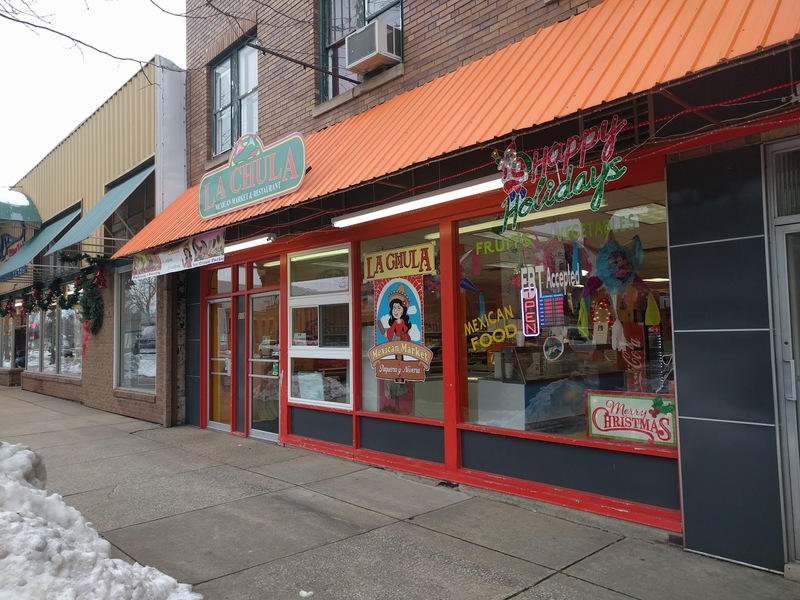 The first time we came across La Chula was last summer when we went to the Arclight Brewery in Downtown Watervliet. Arclight is a BYOF (Bring your own food) place that focuses just on the beer. They had a bbq guy going out in the parking lot and a few menus scattered on the tables. One of the menus was for La Chula and was your typical tacos, burritos, chips + guac stuff. 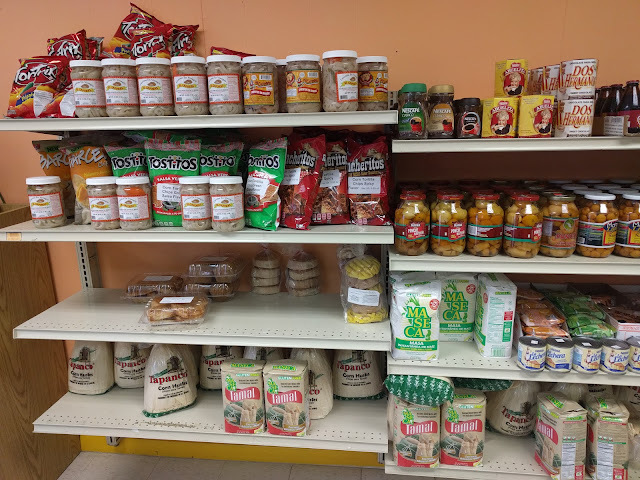 Because the kids were going crazy, I think we just decided for expediency-sake to go out in the parking lot and buy some smoked meats and sides and NOT wait for the delivery from the Mexican grocery store down the street. 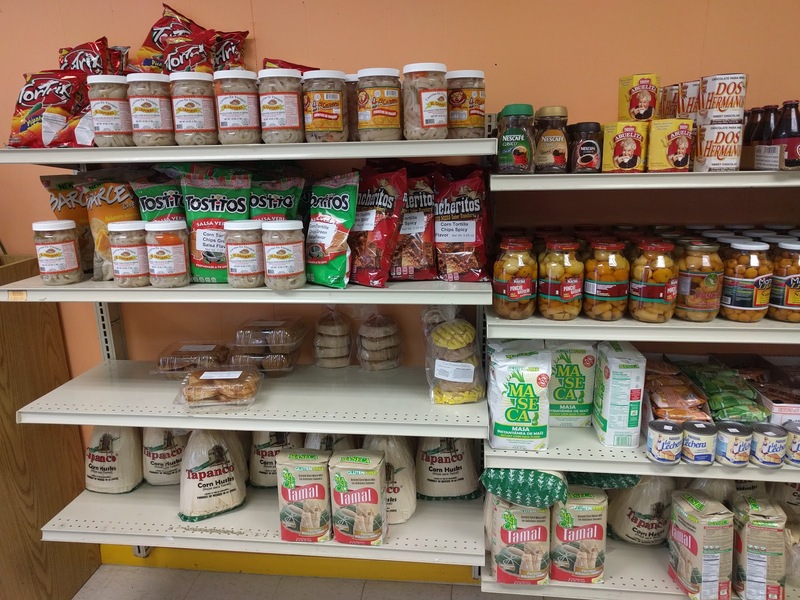 But in the back, there are two separate areas from the grocery store. 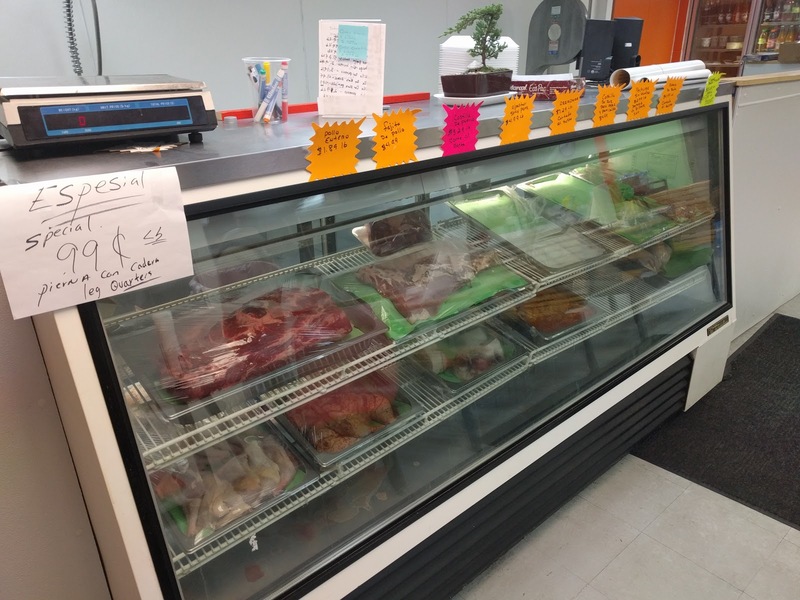 On the left is a butcher counter with a bunch of cuts of meat and sausages. On the right, which I didn't take a photo of, is a place where you can order food including a full breakfast menu as well as the usual mix of tacos, burritos, tamales, tortas, etc. 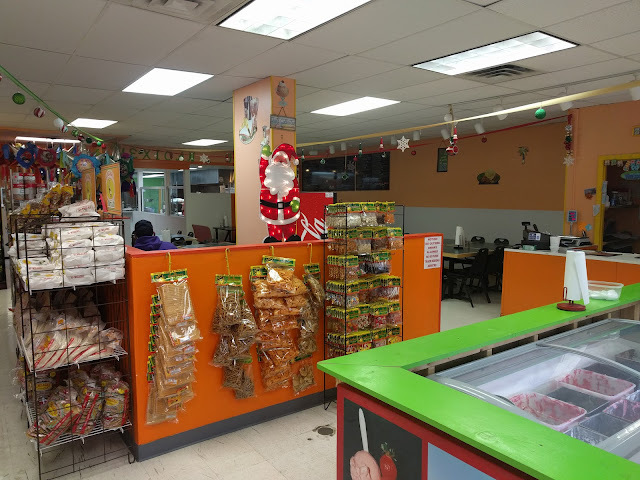 It isn't the prettiest place and has a little bit of a grime-y feel, but they make the guac by hand right in front of you and the man and woman working the grill seem to both care about what they're doing and know their way around these Mexican dishes. Nat got a couple of tacos. So did I. The kids all went with their usual order: quesadillas. We brought it home and ate at home, which I think is a nice fit for us as a family. 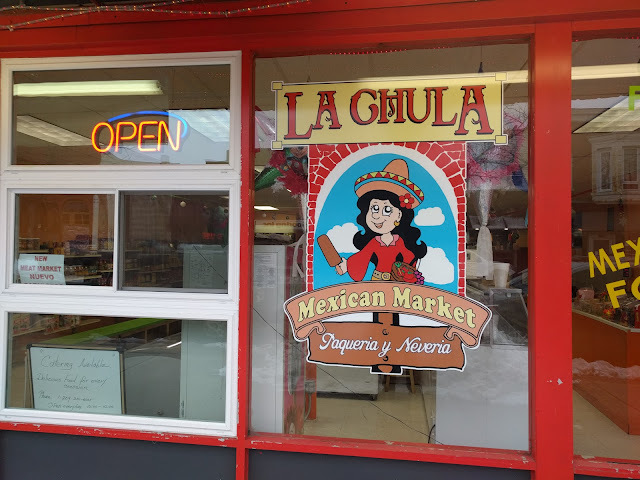 So, the tasty food, the convenience of La Chula being pretty close and the fact that we can get it to go (not to mention that they have tamales to go in their fridge!) make this a winner for us.